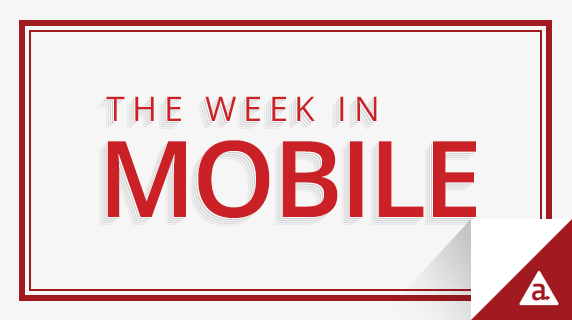 Each week we round up the top news stories, think pieces and other content that centers on the fast-paced, quickly changing world of mobile technology. We tell you which companies are employing clever mobile strategies, illuminate new ways of thinking about mobile and offer a peek at meaningful trends in the industry. This content is designed to inspire you and your company to take advantage of the many benefits mobile can offer. Last week, Google launched offline navigation capabilities for Maps. Available for everyone on Android and coming to iOS soon, the new offline capability allows users to download cities, counties or countries for turn-by-turn navigation and search functionality without an Internet connection. The company also unveiled a new open API, which grants third-party developers access to Google Maps’ predictive travel times. Apple’s new iPad Pro is now available for purchase online and in stores. With a number of reviews already published, most agree that the new device has potential for the workplace, but there are still some software and hardware flaws that need to be worked out. Many feel the iPad Pro successfully replaces the need for a laptop, while others say using the tablet as a primary computer is uncomfortable and accessory devices fall short. Although the device has received mixed reviews, most say the iPad Pro is an improvement on past iPad generations and shows potential for future innovation. According to a report from the Wall Street Journal, Apple is working with a number of banks to launch a new peer-to-peer mobile payments service. Expected to launch sometime in 2016, the platform would link bank accounts with Apple devices and would compete with other P2P payment services such as Paypal’s Venmo. It’s also likely that the P2P solution will be compatible with Apple Pay. Big name banks supposedly involved in development include J.P. Morgan, Capital One, U.S. Bancorp and Wells Fargo. Facebook released a new app, called Notify, which serves as a notification center that keeps users updated on weather forecasts, sports scores, breaking news and more. Notifications are sent directly to the lock screen for quick access to information. Users who want to read on can swipe or tap notifications to view the full story. Notify is powered by partnerships with a number of newspapers and websites, including Fox Sports, Fox News, the Weather Channel, Thrillist, the New York Times and CNN. While many of these partners have their own mobile apps that send push notifications, Notify’s notifications direct users to full stories hosted within the Facebook platform. Pinterest announced new image search functionality, which allows users to search for aspects of individual pictures from Pinterest’s mobile app and website. The machine learning technology means users will be able to click on specific items within a photo, such as furniture or clothing, and Pinterest will search its network for images with similar objects. The new visual search tool also allows for a significantly more precise understanding of what users are searching for, which is not only better for users but could make Pinterest more appealing to advertisers. The new Oculus-powered Samsung Gear VR is officially open for preorders in the United States. The new device marks Samsung’s first consumer-focused version of the virtual reality headset. As with previous “Innovator Editions”, the device doesn’t have a screen, which means a compatible smartphone must be inserted inside the head-mounted unit in order to operate it.